VANCOUVER — The B.C. Lions were the first team to dip into free agency, signing defensive back Buddy Jackson to a one-year contract Tuesday. Jackson played in six games last season with the Saskatchewan Roughriders, registering 21 tackles. His signing came less than an hour after the start of the free-agent period at noon ET. "Buddy is a key veteran addition to our secondary," GM/head coach Wally Buono said. "He’s a physical defender with good size and range and we expect him to be a playmaker on defence this year." The acquisition of Jackson addresses a need for the Lions, who last week released veteran defensive back Ryan Phillips. Jackson also spent parts of three seasons with the Calgary Stampeders before signing with the NFL's Dallas Cowboys in 2015. The Lions also reportedly signed linebacker Tony Burnett to a one-year deal. The six-foot-one, 210-pound Burnett had 31 tackles and 19 special-teams tackles last season with the Winnipeg Blue Bombers. B.C. 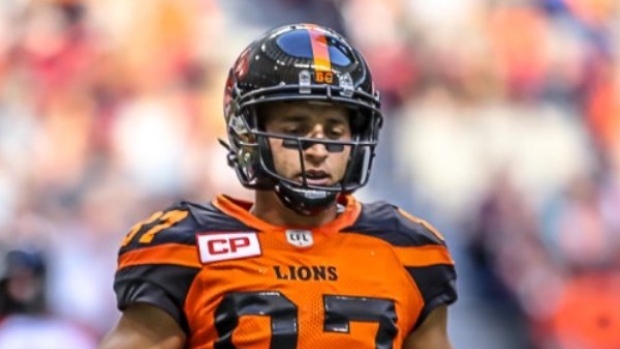 also signed veteran Canadian receiver Marco Iannuzzi, defensive back Ronnie Yell and defensive lineman Mic'hael Brooks to contract extensions. Iannuzzi and Brooks signed deals through the 2018 season while Yell's contract was for 2017. All were eligible to become free agents at noon ET on Tuesday. "Marco is an important and underrated part of our offence who we can count on to give us consistent performances," Buono said. "His ability to contribute on offence and on special teams makes this signing a very important one for the club." The Calgary native has spent seven seasons with B.C. Last year, he registered career highs in receiving yards (360), punt returns (22) and punt return yards (232). In 98 career games with B.C., Iannuzzi has 107 catches for 1,237 yards and eight touchdowns. Brooks has appeared in 28 games over two seasons with B.C., registering 62 tackles and four sacks. Yell will return for his fourth season with B.C., having made 43 career starts. He has amassed 104 tackles and four interceptions, three of which have been returned for TDs.